A German city has come up with an innovative way of saving the skin of preoccupied phone users, by embedding traffic lights in the pavement. In the age of the smartphone, wide-eyed tourists and dead-eyed local commuters alike are spending ever more time gawping into a screen as they wander around town, and ever less time paying attention to the world around them. The phenomenon has even been given its own German name, “smombie” - a combination of smartphone and zombie - which was voted “youth word of the year” in 2015. 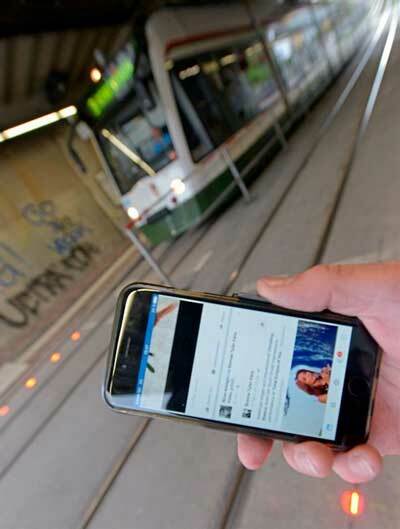 In March, a 15-year-old girl in Munich was run over by a tram while looking at her smartphone with headphones in. She was dragged along by the train and died. 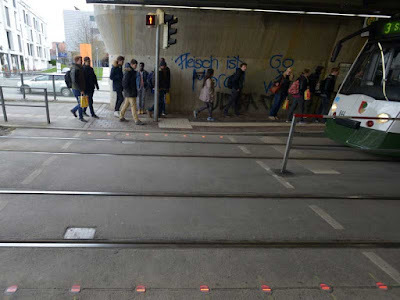 In nearby Augsburg, meanwhile, on two recent occasions pedestrians have been hit by the quiet electric street trains while looking at their phones, but both luckily came away with only light injuries. 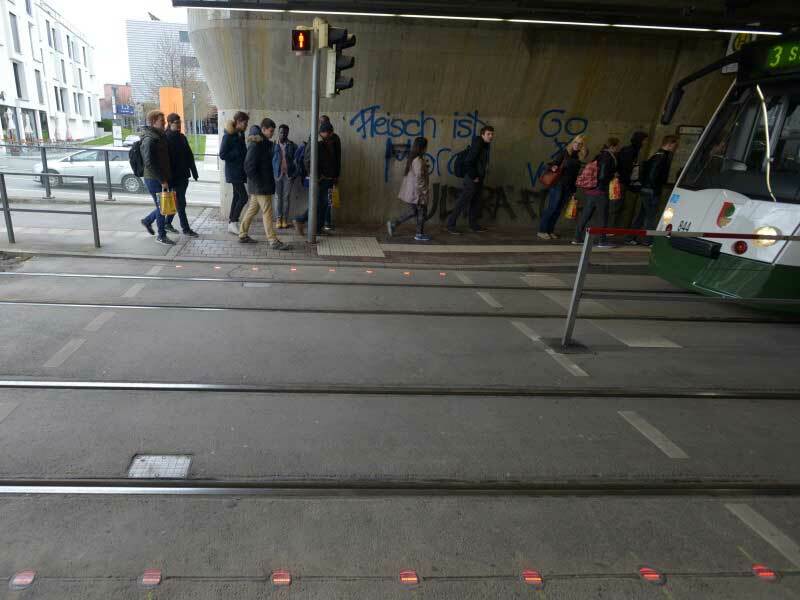 The city of Augsburg in Bavaria have now decided that it’s time to act, and has installed ground level traffic lights to warn people who are looking down at their screens that a tram is approaching. The lights have been in operation at two tram stops in the city since Tuesday and flash red when a tram is approaching or when the normal traffic light turns red. Tobias Harms for the city administration said: “We realised that the normal traffic light isn’t in the line of sight of many pedestrians these days. “So we decided to have an additional set of lights - the more we have, the more people are likely to notice them.” Locals seem to be largely pleased with the innovation, with one saying: “I think it makes sense. One always sees young people these days running over red lights. This makes it more obvious that you need to stop.” But another local couldn’t help feeling a sense of angst at what this said about modern society. “I find it scary that smartphone users are so addicted that they need to install lights in the ground so that they notice the tram coming,” he said. I may be cruel, but I'd rather see natural selection take place. Since the german word for traffic lights is "Ampel" and the german word for ground is "Boden", these breaking new lights are called "Bompel". I know because i live in this city.